The weather hasn't been great for the past couple of days, but it's cleared up now so we're enjoying the spring sun - I probably don't need to tell you, that kids' holidays are always so much easier when the weather is good! 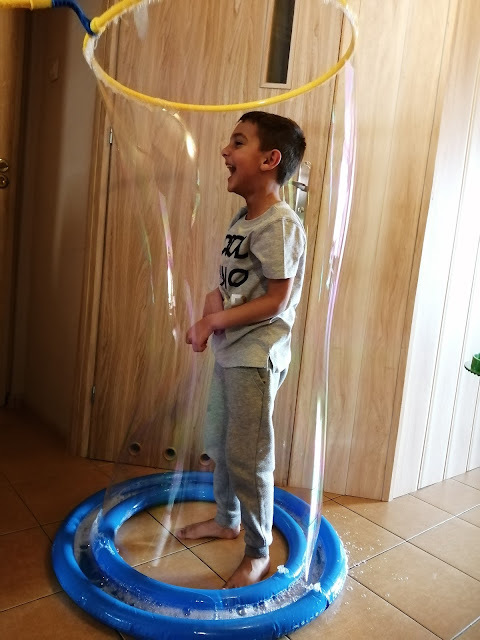 Couple of weeks back we were sent the Uncle Bubble Mega Loop - a super cool bubble making kit. 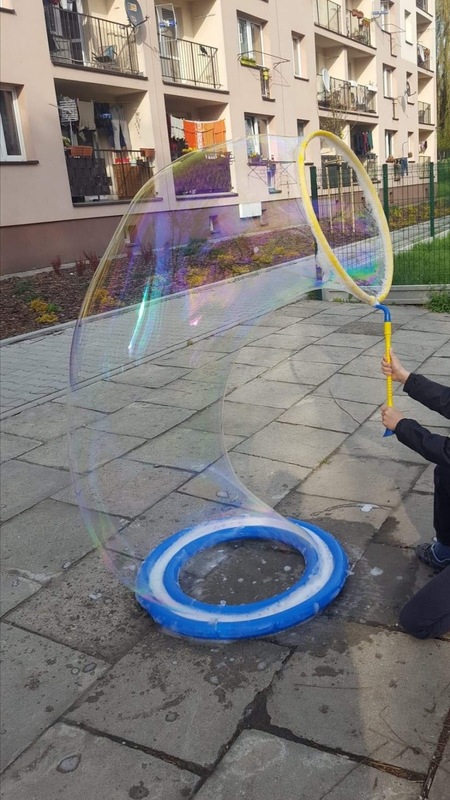 It allows you to make gigantic bubbles, and even put someone inside one! 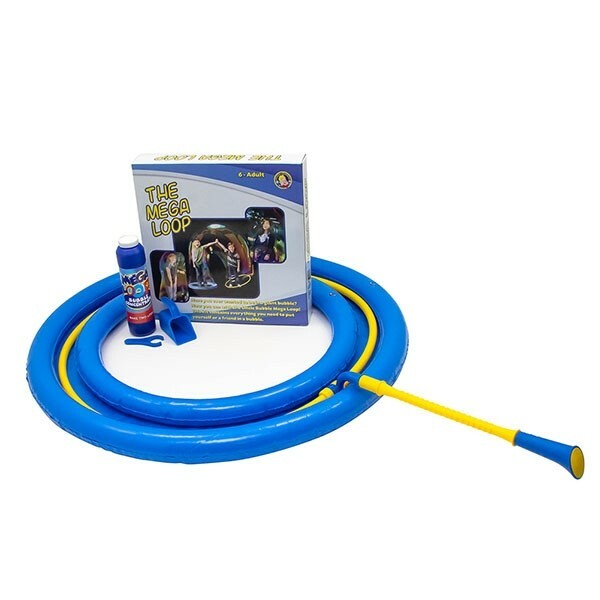 The kit contains an inflatable drip tray, giant hoop, and a bottle of bubble mixture. The blue ring, which serves as the drip tray, is quite easy to blow up. The hoop's handle needs assembling, and takes some strength to make tight enough - at first my hoop kept falling apart. For the bubble mixture, make sure to follow the instructions - it's a concentrate that needs mixing with water. Unfortunately it didn't seem to work too well for us (maybe I messed up the proportions) and we ended up using homemade bubble solution, but that's great about this kit - if you run out of the bubble mix, just make some more and keep having fun over and over again! 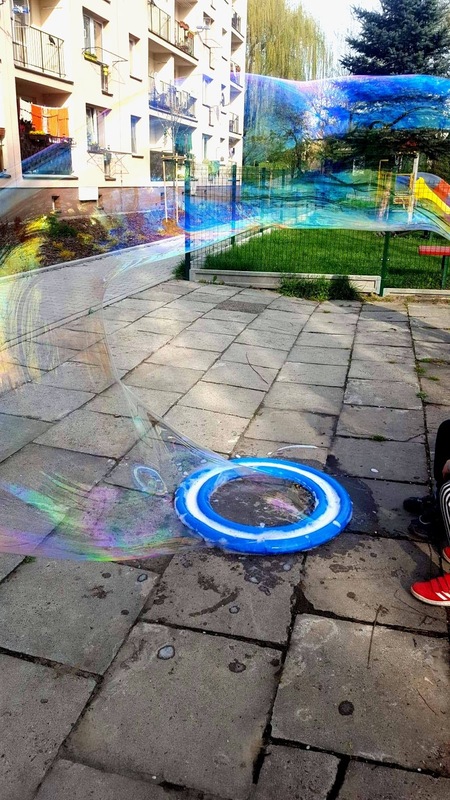 Uncle Bubble Mega Loop is available on Amazon for £29.99. You can also win one here! Uncle Bubble is giving away a Mega Loop kit to one lucky reader, so scroll down to the giveway widget to get your entries in before the 7th of May. Good luck!